Move over Vine and Instagram, the YouTube founders have launched a unique App for iOS that lets you share 16 secs of videos, yes thats a full 1 sec more then Instagram which you can share with your friends. But that is not all that MixBit offers. 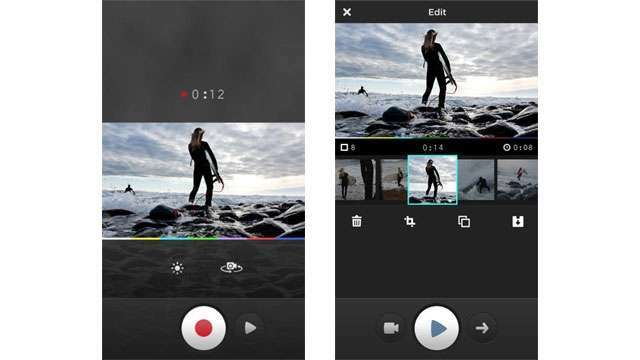 It allows you to add clips to a ongoing remixed video and share it. This remixed video can be hour long and you can share it on Facebook, Twitter, Google + and the MixBit site. You to can create this kind of video train and let it loose on the social networking highway. The only thing is that you have to do this anonymously to protect your privacy and no one can comment on it. The MixBit can be used for storytelling, creating a Meme or just promoting yourself sans your name. MixBit thinks that this unique approach will take it to top the video sharing space. You can check out the latest videos people have shared here. The publishers have said that the Android version is in the works and would be launched very soon.